I like killer whales. 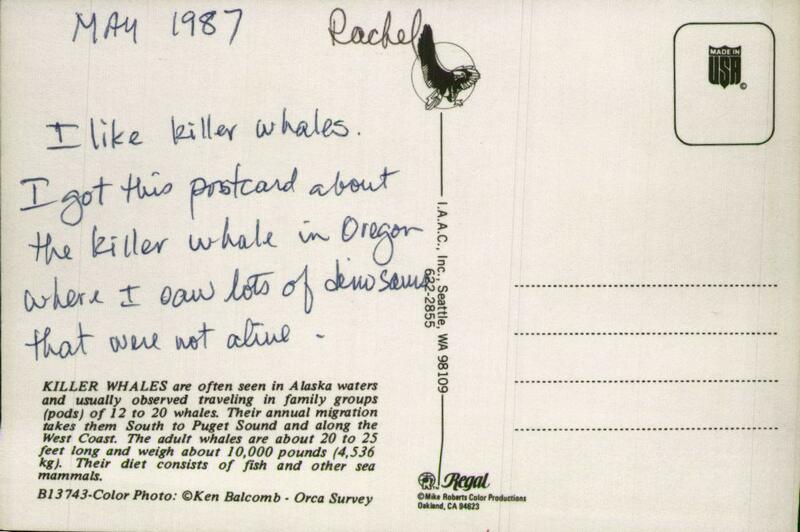 I got this postcard about the killer whale in Oregon where I saw lots of dinosaurs that were not alive. 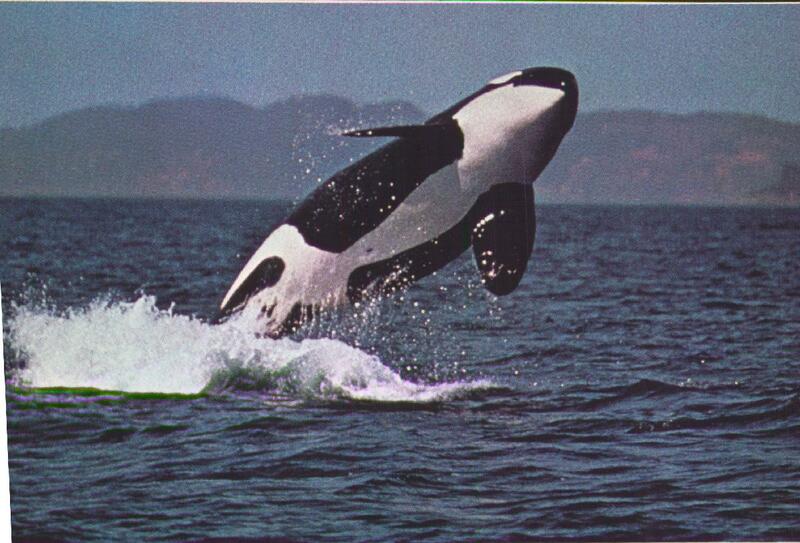 KILLER WHALES are often seen in Alaska waters and usually observed traveling in family groups (pods) of 12 to 20 whales. Their annual migration takes them South to Puget Sound and along the West Coast. The adult whales are about 20 to 25 feet long and weigh about 10,000 pounds (4,536 kg). Their diet consists of fish and other sea mammals.